Lots of good (but not stellar) guitar work by Latimer on this album. Unfortunately, the entire package suffers quite a bit under Latimer's limited vocal range, vocal delivery and songwriting. Musical concepts are a bit underdeveloped in a number of places, but nevertheless, the overall package of this album is very listenable and enjoyable. 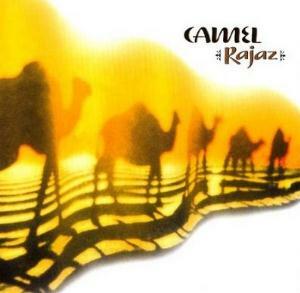 Latimer's guitar work on most of Rajaz is strongly derivate of David Gilmour of Pink Floyd, but with considerably less passion and dexterity. All in all, this recording lacks much of the spark of Camel's first three recording or of Moonmadness. It is far from being a lemon, however. It is good overall, but not particularly memorable. 3 to 3.5 stars sums it up.